Been a while since I posted a teaser from my latest book 1943. Well, here is one. This excerpt introduces a main character to the story, Maggie. Considering that this story has an underlying romance element, it may seem strange that the second half of that romance (Maggie) doesn’t show up until almost half way through the book. Here we see her first appearance after she has had a particularly bad date that left her feeling a bit “desperate”. She is a divorcee whose husband has left her some years before. Dating, at forty-five, has proven to be something less than she had hoped for. After regaining her composure, she stood and tore off a paper towel from the dispenser under the kitchen cabinet, wiped her eyes, and blew her nose. “No use crying over it now,” she reminded herself. Her cell phone rang, and she fished for it in the bowels of her huge purse, hoping to find it before whomever was calling was sent to voice-mail. It was Darrel, her most recent mistake. “Oh, it’s you,” she muttered when she saw the caller ID and simply tossed the phone back into the purse. Maggie went to the refrigerator and retrieved a Diet Coke, popped the top and gulping nearly half of it down, expecting that to help. But it didn’t. She still felt like crap—useless and unloved—cheap—and now needing to belch. She let it fly, and it was a good one. The phone rang again. “Go away!” she screamed at it. It did not. It rang for another eight rings before whoever it was gave up, probably HIM. Then the house phone rang. She snatched it from the charging cradle. “What?” she yelled into the phone. “I take it you passed on that exciting offer?” quipped Scarlet. “You’re not?” Scarlet asked, trying to sound sarcastic. “No, no. I don’t need to get smashed over this.” But it was too late. The phone was dead and Scarlet was already out the door. Less than thirty seconds later she waltzed in Maggie’s back door. 1943 – Road Trip! 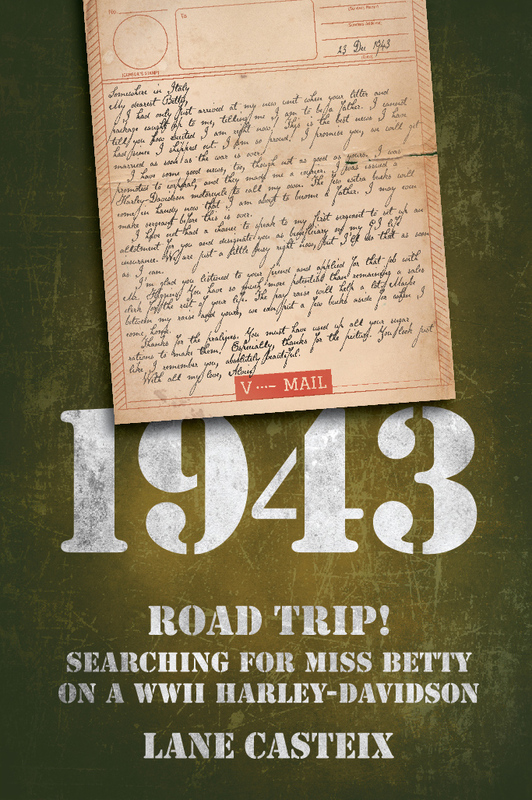 Searching for Miss Betty on a WWII Harley-Davidson is available here.